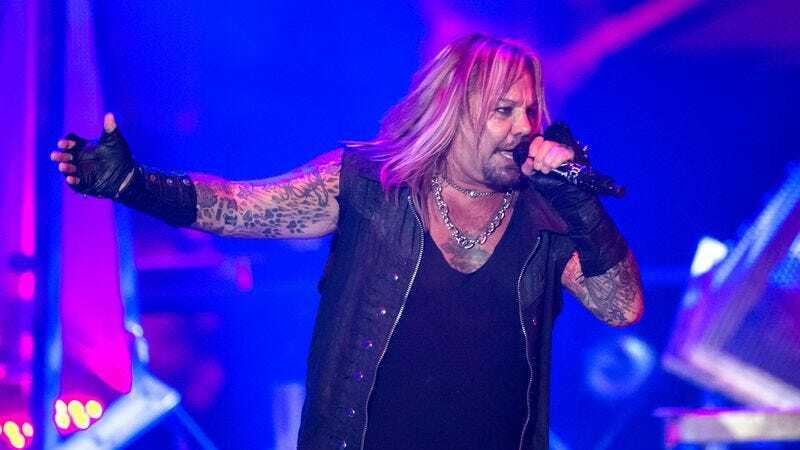 Tapping once again into his reality show roots for a presidential staffing decision, President-Elect Donald Trump has announced that future Celebrity Apprentice contestant Vince Neil will be playing his upcoming inauguration. Neil was apparently approached about his availability for the January 20, 2017, event months ago, according to an interview he gave to Billboard. The former Mötley Crüe singer—who’s currently scheduled to appear on Celebrity Apprentice next year, with new host Arnold Schwarzenegger—expressed his excitement for the gig, while also noting that he and his self-titled band had to have their clearances checked by the Secret Service months in advance of the election. Neil also noted that he’s not sure what other musicians will be playing at the inauguration, leaving open the possibility that fans of noted right-wing Trump supporter Ted Nugent might finally get their deepest wish, and get to hear The Nuge absolutely crush “Wango Tango” at a formal White House event.